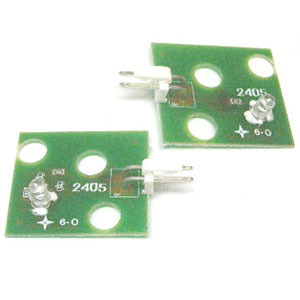 2-piece set of opto emitter and receiver PC boards for ball trough used in some late-model Sega and Stern Pinball games. Sold as a set. These PCBs have 1 opto element each. 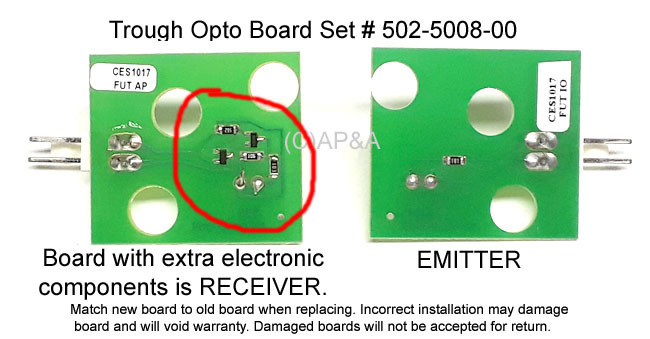 Set includes 1 emitter PCB # 520-5124-00 and 1 receiver PCB # 520-5125-00.